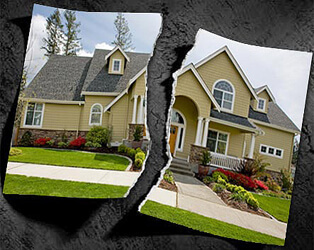 Selling assets before divorce in Washington can just make a bad situation worse. You are most likely concerned about how the money that you have, your house, and other assets will be divided. Concerns about how fair the split will be may be tempting you to start selling assets prior to divorce so you can be sure that you are going to get what you feel you are entitled to. Often these types of actions are spurred on by anger and frustration. You may believe that you are entitled to more than your spouse. Based on this you feel you should be selling assets before divorce. What you may not realize is that this can get you into some serious legal trouble. Every state has its own specific laws as to how assets are to be distributed in a divorce. If you are determining selling assets before divorce in Washington you need to look closely at what the rules are concerning selling assets before divorce. In general, the rules for dividing assets in a divorce will fall into one of two categories. Those states that are classed as community property states have laws in place that create a 50-50 split of the assets that were accumulated during the marriage. It doesn’t matter which of the parties may have actually purchased them, they are considered to be part of the marital assets. There are situations where individuals enter into a marriage and bring some assets into the marriage with them. This could be a specific amount of money such as savings, or perhaps a home or other type of asset. In this case, these types of assets will not be considered as part of the community property of the marriage. The exception to this is if you decided to co-mingle these assets in your relationship. Then selling assets before divorce is filed that pertain to these ones would have different rules applied to them. In this situation you would need to look at how to sell assets before divorce in Washington rules prior to taking any action with them. It can get a little confusing when it comes to assets owned prior to the marriage and what happens to them during a divorce. For example, if you have $25,000 in a bank account in your name, when you entered into the marriage and you kept it in your name, then that is your asset. However, if you took that money and put it into a joint account with your spouse then you have co-mingled that asset and it is part of the marital assets. Or you may have entered into the marriage with a new vehicle that was in your name, and you kept it that way. This too may not be considered as part of the marital estate. Each state may look at prior to the marriage assets differently, so if you want to sell assets before divorce, it is important that you know the laws pertaining to this. When selling assets before divorce in Washington you also may have to think about assets that you inherited. This could be property that you brought into the marriage from an inheritance. Or, it could be that you inherited the property during your marriage. Assets received from inheritances, or money judgements, or from claims resulting from a personal injury, may not be subject to the 50-50 rule. Again, this will depend on whether these assets were co-mingled. When selling your assets before divorce in Washington you need to determine if the laws are based on equitable distribution. In this case, the splitting of the assets is based on fairness according to the specific circumstances of the marriage. While the law states each of the parties are entitled to a share it doesn’t mean that each will get half. Many contributing factors are taken into account when the equitable distribution is being determined. It will take into account what each of the parties has contributed during the course of the marriage as well as how long the marriage was in place. Usually selling assets before a divorce and dividing assets means the laws of the state are not being adhered to. This can create legal consequences for the party attempting to sell assets before divorce. Selling assets before the divorce is finalized can be viewed as committing a crime and you can very easily get caught. What some will attempt to do is hide their assets before actually selling them. This is so they will not be included in the marriage estate. 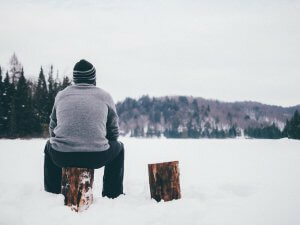 During the divorce proceeding, there is what is called a ‘Discovery’. This is where both spouses must provide all their information about their assets and financial information to each other. If you are hiding assets or have been active in selling assets before their divorce and you do not disclose this you could be charged with perjury. While the sale of assets before the divorce may be tempting for many different reasons, it really is not something that you want to participate in because no matter whether you are just contemplating doing so, it will probably get you into some serious legal trouble. You need to take the time to research the divorce laws of the state and make sure that you rely on the proper resources to assist you with making the right decisions. There is a lot that has to be considered regarding the sale of the home, and no doubt you and your spouse want to get the most for it if you decide to sell. If the value of the home is not going to cover the mortgage outstanding then you may want to find alternatives to selling assets before divorce. Selling a house quickly after a divorce can be a stressful situation. If you need to sell your house fast, Good As Sold Home Buyers will give you a cash offer in 24 hours. Just give us a call at (425) 366-7574! There are no obligations. We are also available to answer any questions you may have and look forward to talking to you about your options.